multimedia interactive spaces, corporate/brand events). 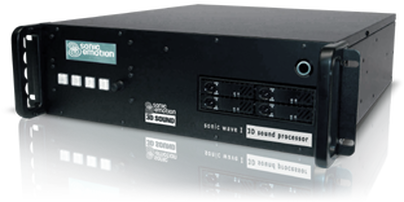 3D sound rendering is realized by means of Wave Field Synthesis (WFS). outputs/loudspeakers with a minimum latency (5.6 ms). Designer and Pandoras Box along with synchronous audio and video playback."